Space clearing “is a more intuitive branch of feng shui”. Stephanie Bennet, a former teacher, has over 30 years working with this technique. 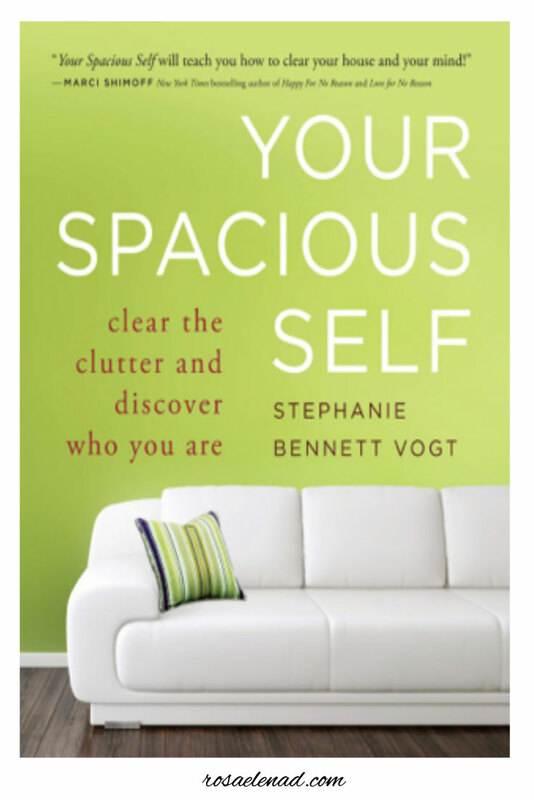 Your Spacious Self is a guide to deal with the cause of attachment to things through years of accumulating stuff and creating clutter in the house or office. If we feel stuck even when everything is neat clean and organized, it could be mental or emotional clutter. All the exercises, meditations and journal activities generate awareness as they bring to the surface what’s behind all this clutter to deal with and let go for good. However, when the attachment is strong it is useful to do it with people that you trust and embark in these activities together and support each other. Your Spacious Self goes for creating clearing habits, at your own pace and with intention. The book presents ideas that help with what to keep, to let go, to gift and to buy. However, it doesn’t present any way to store or fold anything if that’s what you are looking for.